It’s that time of year once again. The time when there’s that little nip of coolness in the air, especially the first thing in the morning. Even the sunlight seems crisper, giving us a hint of the chill that’s soon to follow. Yes, it’s that time of year that shuffles in the true end of summer. And shuffle is a good term, because I always go into it dragging my feet, kicking and screaming, because as I’ve said many times, I’m a spring/summer/flip flop type of girl! We can feel the chill in the air every morning, even though it sometimes warms up in the afternoon. 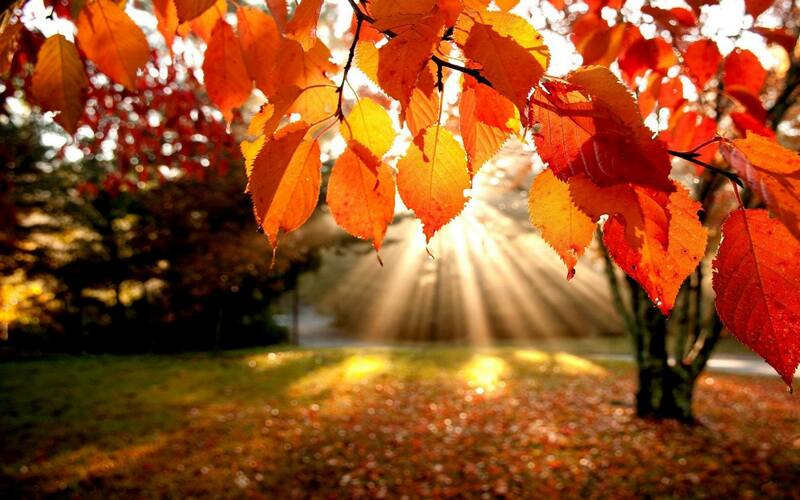 The trees turn into a palette of new colors; oranges and yellows and reds. And all those leaves begin to fall all over the yard, getting raked into piles of crisp color that we adults are just a bit tempted to jump into it when no one is looking, like we did when we were children! Yes, I will admit, the colors are really pretty, and can be breathtaking, depending on where you go to see them. My husband likes to drive over to the mountains and enjoy the spectacular views. And they are pretty. But if it’s up to me, I’ll look at other people’s pictures on line and think how pretty they are, and then dream about how long it’ll be until it gets warm again. Then there are the pumpkins. Everywhere. In store and even restaurant displays, and piled along those roadside stands. Some even have carved faces already, and yes, I’ve been tempted to buy a couple of them to carve, but our granddaughter isn’t old enough this year to appreciate them. (Next year!) I remember growing up and my uncle making the most beautiful jack-o’-lanterns. Over fifty years ago, he was painting faces and other designs on the pumpkins rather than carving them, because they’d last longer. He was certainly ahead of his time, and if he were still here today, I’m sure he’d still be doing it, only more elaborate. However. There are a few things that I can appreciate about this time of year. For one, there is a LOT of candy on sale right now. And I do like to keep my candy bowl on my desk filled with all kinds of wonderful chocolate candy bars, miniature ones of course, just in case I get an urge during the day for a quick pick-me-up! Chocolate can do that, you know. 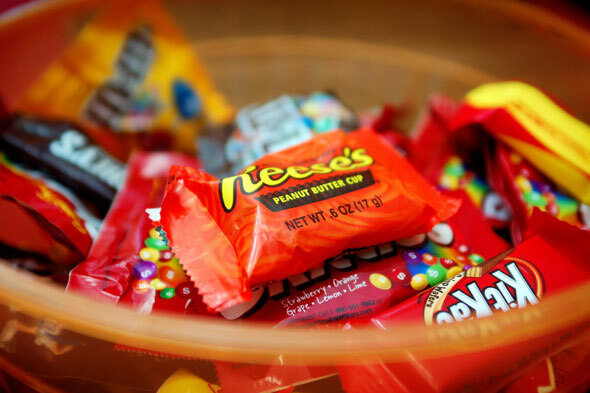 And I’m sure many of you reading this are like us, and buy your supply of Halloween candy based on what YOU like to eat, and not necessarily what the kids are going to want, so you can enjoy the leftovers! Is there any other way to buy it? And I have to admit I do enjoy seeing the costumes the kids are wearing when they come to our door to get their candy. The little ones are always adorable, and this year I’ll certainly be looking at them in a different light, since next year our granddaughter will be old enough to be dressed up her own costume; maybe a ballerina, or a bumblebee, a princess, or maybe even a butterfly! Now that will be fun! Of course, I’m sure her daddy will want her to be dressed in camouflage, but I think Mommy and Grandmom will have the final say on that one…at least for next year! In fact, when I was growing up, most of us dressed up for Halloween, but very seldom in anything scary or spooky. My hometown had an annual Halloween parade, with several of the main streets blocked off so the participants could march around our little business district and the county courthouse. Children and adults paraded around streets in costumes and competed for prizes, and the streets were filled with onlookers. 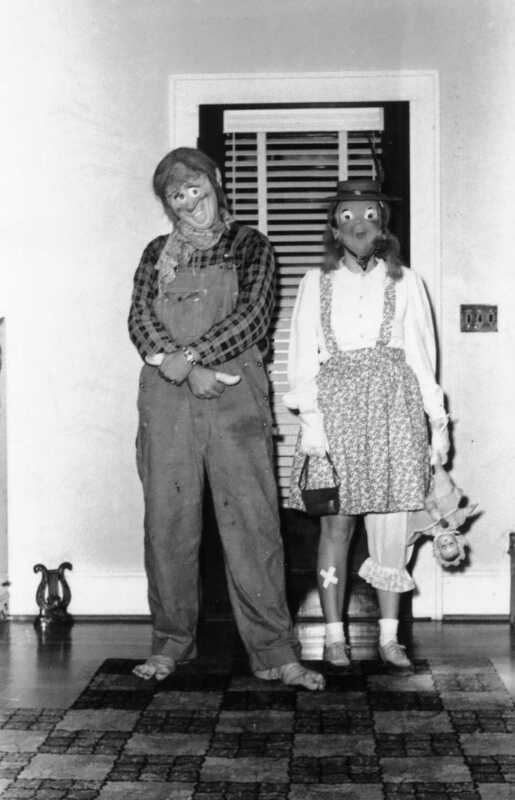 My aunt and uncle actually won first prize in the adult division one year, dressed as Raggedy Ann and Andy. Weren’t they looking sharp? (How many of you know who Raggedy Ann and Andy are?) And if memory serves me correctly, I think some of the local churches sponsored the parade and contributed the prizes! I can’t remember the last time I saw a Halloween parade. But they were a lot of fun! At least to us kids, and the adults who still acted like kids. It was just a fun time to enjoy ourselves, and get candy, of course! So I guess I’m sort of stuck with it being fall. I can’t change it, so I guess I have to make the most of it. I can wear my jeans and sweaters with my boots, enjoy our toasty fireplace with a glass of wine, and count the days until Thanksgiving and Christmas. And I can remember that spring is, sort of, just around the corner!